These speeches portray the breadth of the Emperor's vision. They detail the persistence, the determination and the unflagging drive with which he pursued the application of "modern Ethiopianism," to which history cannot fail to testify. The Emperor's idealism, coupled with his insistence on transforming his country, both on the domestic and international fronts, his courage in the face of adversity, his unchallenged perspicacity, his keen sense in evaluating world events, his unfailing respect for principles, and his abiding faith in humanity should make this volume a ready-reference on the history of modern Ethiopia. 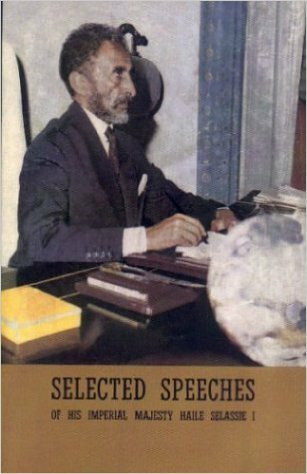 Description by Minasse Haile, Minister of State of Information.